Below is a tale of two AZ legislators. 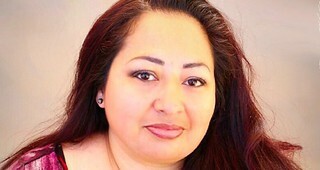 Ceci Velasquez is a former Democratic Arizona State Representative from LD29 (West Phoenix). In 2016, Velasquez was forced to end her reelection campaign when it was revealed she had been charged with misusing food stamps. Velasquez pleaded guilty Oct. 25 to a misdemeanor count of unlawfully using food stamps. She will be sentenced Dec. 1 to a term of probation, and she has already paid back the $1,728 she is accused of stealing. By 10 p.m. Jeffries informed Peterson he had just sent the press release to the Drudge Report. Peterson replied, noting the coincidence of his email’s timing. “I am currently submitting to the NY Times, Fox, Politico and The Hill. ;),” she wrote. Rep. Velasquez admitted her mistake, which she says was borne of misunderstanding on her part, as a struggling single mother rather than intent to defraud the government, and she fully accepted the ensuing legal penalties. Prosecutors won’t bring charges against former House Speaker David Gowan for getting more than $12,000 in taxpayer funds for time and travel spent during his ill-fated campaign for Congress. Attorney General Mark Brnovich said his attorneys and investigators found “a lot of questionable, even I would say unethical behavior” in the actions of Gowan. These included multiple trips that Gowan took around the state in 2016 while running for Congress — many far from his legislative district — while saying he was on state business, a claim that enabled him to get reimbursed by the state for his expenses. And Brnovich said staffers found multiple uses of a state vehicle for what appear to be personal purposes. “But it did not rise to the level of criminal conduct,” he said, because there is insufficient proof that Gowan had both actual criminal intent as well as knowledge of the laws that were being broken. And that, Brnovich said, ends the matter. “At the end of the day as a prosecutor your job is not to win at all costs,” he said. Of course you don’t! Also, why should a state lawmaker be expected to know what the laws are? Let’s not be overly exuberant about ruining the life of a striving young leader in the prime of his, uh, late forties for his little $12K oopsie with the taxpayer dollars, right Attorney General Brnovich? In fairness, according to the Assistant AG quoted in the linked Howie Fischer piece, it was rather more difficult to determine Gowan’s intent (than it apparently was in the Velasquez food stamps matter), even though prosecutors did see a pattern of questionable ethical behavior, since it was a staffer submitting the reimbursement requests and not Gowan himself. Assistant Attorney General Todd Lawson who headed the investigation, said Gowan himself precipitated some of the problems in 2015, changing policy to allow some members of House leadership of both parties to claim expenses for as many days as they wanted. That was a sharp change from before where such expenses were limited to twice a week when the Legislature was not in session. “Now the per diem pay for members of leadership was at their control — they could set up meetings each day, and get additional pay,” Lawson wrote. Obviously, Ceci Velasquez should have pulled herself up by her bootstraps by having a staffer submit her SNAP requests and also being in a position to write the rules in her favor, like a responsible person would be! 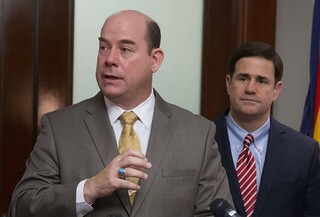 As for David Gowan, he has been able to put this whole unfortunate incident behind him and has returned to the Arizona Senate, where he now chairs the (I swear to God) Appropriations Committee. This is, of course, entirely the result of the natural meritocratic order under which we live and should not in any way be construed as powerful white dudes arranging it so they get away with things and are constantly rewarded and promoted in ways other people never are. Nope, no way. In 2017, a Tennessee woman was charged under that state’s abortion ban. 2017, not 1917. Started thinking about writing this article, in the way I have done it, when I had a conversation with our 22 year old legal assistant about Roe v Wade, the Supreme Court, and Arizona’s trigger law A.R.S. 13-3604, which becomes enforceable as soon as Roeis gone. Our assistant, a bright young college student, did not know what Roe was and did not know about any of this. My guess is reproductive rights as a legal and historical matter are not covered much in AZ public schools, and the press here tends to shy away from covering the topic comprehensively. I wrote this as a straight-forward, non-political jargon-laden explanation, for young women especially, but everyone should know about this because most people don’t. Please feel free to share this blog post, or to copy the entire article below, with attribution. Could I really go to jail for an abortion or miscarriage in Arizona? Background: Roe v Wade is a famous 1973 U.S. Supreme Court decision that legalized abortion across America. Prior to that, abortion was not safe and legal in most of America. Women often had to have illegal procedures in unsafe conditions, often performed by people with little or no medical training. Some women resorted to performing procedures on themselves with things like knitting needles and coat hangers, which often led to injury and death. Women who wanted to change that, along with doctors, nurses, and other health care providers, argued their case before the courts and won. Abortion became legal in all 50 states, including Arizona, and health clinics such as Planned Parenthood and others were able to provide safe abortions along with birth control, STD screenings, and other services. A woman who solicits from any person any medicine, drug or substance whatever, and takes it, or who submits to an operation, or to the use of any means whatever, with intent thereby to procure a miscarriage, unless it is necessary to preserve her life, shall be punished by imprisonment in the state prison for not less than one nor more than five years. Hey, Independents! This message is for you! Our Democratic Candidates are craving your vote right now, like really craving it. They’ve got these win numbers they need to hit to make it out of the Primary alive, and you’re one way for them to get it. Typical Independent Voter: But how can I vote in the Democratic primary if I’m a registered Independent? So glad you asked! Independent Voters can specify which ballot they want to vote on without changing their party. For example, any Independent can go to their polling place and ask for a Democratic ballot, vote the Democratic ballot, and remain an Independent. Nothing on their registration changes. (NOTE: This option is not available during the Presidential Preference Primary). If you’re in Maricopa County, simply head to a Vote Center to vote early, or on election day (August 28, 2018), head to a Vote Center or your assigned polling place (info here: https://recorder.maricopa.gov/pollingplace/) to vote. If you’re outside Maricopa County, look up your county election info for more info. Always remember to bring valid ID. I’m sure that’s listed on your county election website, too. If you’re a poll voter like me, see you at the polls! You can find Krista Pacion on Twitter or Instagram as @kristabellerina. You can also catch up with her on www.KristaPacion.com. Holy hell, there are a lot of crazy primaries going on right now. Without commenting on any specific primaries, I want to talk to you all about the beauty of the single shot for multi-seat races*. I know, I know, you’re rule followers at heart, so when it says Vote for 2, you vote for two. But here’s the thing… you don’t have to! I was talking to a lovely mom last week about the drama in one of the LDs, and she told me who she liked and how she hoped her candidate would win one of the House seats. ME: (nodding) Yeah, I love her, too… You can always give her a single shot. OTHER MOM: Wait, what’s that? ME: It’s like giving her two votes. OTHER MOM: Oh… (long pause) I wish I’d known about that before I turned in my ballot. I would’ve done that. And then there was that time when I was meeting with a candidate who said she knew about the single shot strategy but never understood how it worked… ARGH! Okay, here’s the lowdown. The single shot strategy works because it adds a vote to the candidate you like without adding a vote to another candidate. Still don’t get it? Here’s an example… we have three candidates running for two House seats in District 31. Because there are two seats, each voter has UP TO two votes. There are three voters, holding up to six votes total. The candidates are Smith, Jones, and Doe. Voter A remembers seeing a sign for Jones in the neighbor’s yard, and he’s mad at the neighbor for leaving his trash bin on the street for the last two days, so he votes for Smith and Doe. Current vote tally: Smith = 1; Jones = 0; Doe = 1. Voter B can’t remember who the candidates are and randomly votes for the first two on the ballot. On Voter B’s ballot, the first two candidates listed are Smith and Jones. Current vote tally: Smith = 2; Jones = 1; Doe = 1. Voter C really loves Jones, but Jones and Doe are running as a slate, so Voter C votes for both of them. Current vote tally: Smith = 2; Jones = 2; Doe = 2. And we have a three way tie, it goes to a recount, there’s no change, and it goes to whatever tie-breaking method Arizona has, if any, probably a game of Rock, Paper, Scissors. But remember Voter C, who really loved Jones? What if Voter C had given Jones a single shot? New vote tally: Smith = 2; Jones = 2; Doe =1. 30,000 voters cast votes like Voter A (Smith and Doe). Current vote tally: Smith = 30,000; Jones = 0; Doe = 30,000. 30,000 voters cast votes like Voter B (Smith and Jones). Current vote tally: Smith = 60,000; Jones = 30,000; Doe = 30,000. 30,000 voters cast votes like Voter C (single shot Jones). Current vote tally: Smith = 60,000; Jones = 60,000; Doe = 30,000. And that, my friends, is the beauty of the single shot. With “Fight Song” playing in the background and memories from 2016 showing up on my FB feed, I’m reliving my time as a delegate for Hillary Clinton at the Democratic National Convention. It was hot and sweaty, oppressive for this used-to-the-dry-heat Arizona native, but being there, in the City of Brotherly Love, staying at a hotel within walking distance of Independence Hall, living and breathing in the birthplace of the nation during the week the first woman of a major political party became a Presidential nominee… That was magic. That was energizing. That was mind blowing. For a few days, that was a whole lotta people living in a bubble where logic and reason prevailed, and a steady hand and temperament took center stage. It was a world where strangers were friends, Delegates were celebrities, and everyone wanted to be us. Do you know what it’s like to be in a city with thousands of people who share your values? We were all smiles all the time. I met a woman at the SEPTA station. She was a Hillary delegate from New Mexico. We got to talking while waiting for the train, on our way to the convention. We parted ways, and I didn’t expect to see her again…until I met her another day on another station waiting for another train. It didn’t occur to me to get her info, but then I found her on FB because how many Hillary delegates named Rita live in New Mexico? We’re still FB friends. I want you to know there was a man I met on the train who thanked me for being an active Democrat in a state like Arizona. I told him it’s a beautiful state and there are a lot of energized Democrats working there. Our Arizona political superstars were hobnobbing with us. Like Councilman Daniel Valenzuela, always with a smile and a kind word. He could talk to my husband about tech and Phx startup for hours, always energized and full of Arizona’s potential. I sat on the convention floor with Representative Charlene Fernandez, an amazing force whose super power is balancing strength and kindness. She sat in rapt attention, absorbing every word in every speech, and chair dancing to every song. I sat with Senator Katie Hobbs, whose enthusiasm and excitement for Hillary were palpable. She was on fire, full of energy and pride to be a part of this movement. If I hadn’t already been a Hillary fan, Katie would have sold me on her. And then there was the brief time Gabby Giffords came to stand with Arizona. It was so good to see her. I saw Howard Dean in the halls, and I wanted to tell him “Thank You.” He was surrounded by people, and I couldn’t get close. Then there was the Bernie supporter who was an acquaintance. We didn’t know each other very well, but we kept running into each other and talking. Now she’s one of my best friends and a Vice Chair for the Arizona Democratic Party. I tell her I forgive her for being a Bernie supporter, and she laughs because she thinks I’m missing something. My memories don’t match the picture some people paint of the discord and rancor on the floor at the convention or after. There were a few delegates who tried to foment rebellion, and we heard that some delegates staged a walk out. But all I saw were the speakers, all I heard was the incredible flow of words coming from the stage. Such poetry and eloquence. I witnessed it all. I was there when Michelle Obama wowed us with her words. I was there when Khizr Khan pulled the Constitution out of his pocket and waved it in the air. I was there when Hillary was nominated and we saw the glass ceiling break. We were overcome with emotion, grasping hands, and crying and smiling through our tears. You see, the Democratic National Convention brought us together. The convention was balm for our souls, and we were done fighting because we had an election to win. I was lucky to be a part of something big, and I was ready to get to work. I didn’t expect to be blindsided like an M. Night Shyamalan movie. If only we’d known how important that election was. It’s so hot, always sweaty. Primary season. Some of our candidate friends are running against other candidate friends. Every canvass feels hotter than the canvass before, but candidates still need volunteers. It’s the volunteers who walk in the heat that candidates love the most, because they know the sacrifice. That is loyalty. We know some of our friends are going to lose in the Primary. Thinking about it hurts, but that’s really what I want to talk about. Yes, some of our candidates are going to lose, and some of us may want to take a break. We may even think about voting for a third party because the candidate who beat our friend in the Primary doesn’t deserve our vote. That’s what I fear. Because we need to stand firm. To go back to Hillary and the convention, we are so much stronger together. We are poised to take over the Senate for the first time in my life, and we are close to taking the House with great candidates running in key races this year. If they win, we will send pro-education, pro-women Democrats to the legislature. Just think of how many bills a powerful group of Democrats can stop before they get to the Governor. And let’s talk about the Governor. No matter who wins, I’m supporting the Democrat. I would love to have a Governor who can veto some of the nonsense that comes out of the Legislature again. With CD2 in play, we have the chance to deliver another Dem to the U.S. House of Representatives. The more we deliver, the stronger we are. It’s not my district, but I have faith that my friends in CD2 unite behind the primary winner to take back that seat in November. And then there’s the Senate seat. Remember, DeVos was confirmed when the Vice President cast a tie-breaking vote. If we had won the Senate seat in 2016… Well, let’s not deal in “ifs.” Instead, I’ll put this out there: from the time the VP took office in January 2017 until June 2018, he cast nine tie-breaking votes. We can’t let him cast anymore. No matter who wins the Senate primary this year, I’m voting for the Democrat. We may not have a convention to pull us together after the primary, but we did have the Women’s March. We did have the March for Our Lives, the March for Science, and #RedforEd. We are in the fight of our lives. Walking in solidarity with tens of thousands of new friends was magic. It was energizing. It was mind blowing. Those movements brought us together in ways we haven’t seen in decades. Seeing the mass of people marching was balm for my soul, and we can’t let the momentum behind those marches die. We have an election to win, and we can’t let our new friends down. Because we do know how important this election is. With her usual edgy and brilliant commentary (aka, acerbic wit), Donna captured the disturbing media coverage of Podesta’s hacked emails. I’ve re-posted the first round of Donna’s research here in its entirety. I encourage you to switch over to Twitter to read the rest and the comments. These are just the first two pages on a Google search of "Wikileaks Podesta emails". I left off a couple of obviously biased sites, such as Fox News and Wikileaks itself. Will continue to update. A pattern I've noticed is the number of women reporters assigned to cover the Wikileaks dumps. Feels disproportionately high and also an indication the MSM treated this as a gossip story (which women tend to be assigned more often) and not a serious attack on our election. Ugh, this is awful. Will have to stop for awhile. It's making me rage out. You’ve marched for your lives. Here are a couple of short lists of things you can do that make a big impact. These lists are not meant to be comprehensive, but feel free to leave your feedback about what I missed in the comments. Motivate in CD8 – the state is rallying around this special election (April 24th), and there are dozens of events and volunteer opportunities around the state. Phone banks, text banks, and canvassing opportunities are ongoing until April 24th. Volunteer or donate to Hiral.